The hard bargaining by Kyiv over gas has left a sour taste in EU circles, and the 28-member bloc is waking up to the need to better defend its interests, senior Brussels sources have said. Seeing its gold-spangled blue flag flown on the barricades of Kyiv thrilled the European Union, reviving its self-image as a beacon of democracy at a time of growing doubt and economic gloom. But nearly a year on from the first “EuroMaidan” protests that would topple the pro-Moscow president who had spurned an EU trade deal, some in Brussels are disillusioned by the experience of helping Ukraine. EU generosity in waiving import duties and funding gas supplies from Russia may be being abused, they say. Some in Ukraine’s elite may be colluding with Russia, even as fighting in the east has begun to escalate again. “The Ukrainians are manipulating the EU,” a senior EU official involved in negotiations told Reuters, saying the bloc was “waking up” to a need to better defend its own interests. “There may be, in certain sections of the Ukrainian government, an interest in colluding with the Russians and instrumentalising to a certain extent the EU,” he added. Such views are dismissed as “absolute nonsense” by Ukraine’s ambassador to the EU, Kostiantyn Yelisieiev. He condemned talk of secret deals between Kyiv and Moscow as “Russian propaganda” and said he had full confidence in continued cooperation with the European Union. In public, there is solid EU support for the newly elected president and parliament in the face of Russian hostility – a position new European Commission President Jean-Claude Juncker will stress when he visits Kyiv, perhaps as early as this month. And there is unanimous, personal admiration among officials and diplomats for ordinary Ukrainians’ courage on the streets, and a will to help them consolidate democracy and prosperity. Yet in private, endemic post-Soviet corruption, the power of business “oligarchs” and suspicions of lingering Ukrainian collaboration with supposed enemies in Moscow lead some in Brussels to question the future of current levels of EU backing. That may mean tougher terms for Kyiv in further negotiations next year and pressure to show fast results in reforming its politics and economy – a tall order after 25 years of drift and in the middle of a virtual war with its giant eastern neighbour. Most pressing for Ukrainian President Petro Poroshenko will be renewed talks with Moscow and the EU on Russian gas supplies, following a deal ten days ago that won a resumption of flows for the winter. Wrangling on that has contributed to wariness in Brussels about Kyiv’s relationship with Moscow. 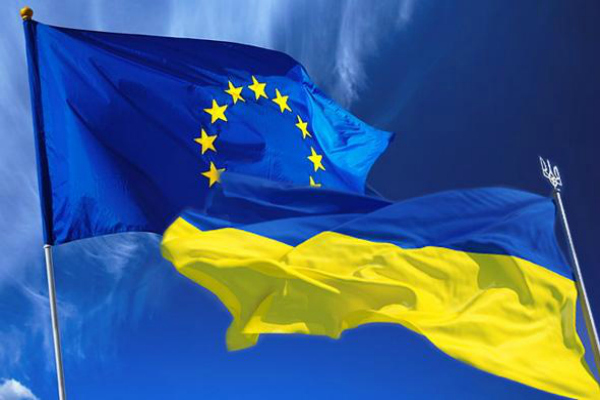 Also urgent will be efforts by the new Ukrainian government to enforce EU economic and social norms in legislation required if a free trade deal is to take full effect on 1 January 2016. The EU has lifted duties on imports from Ukraine but let Kyiv keep tariff protections for its own businesses, which also trade freely with Russia. But, EU officials warn, that one-sided favour cannot last long and Ukraine must honour its commitments. “Ukrainian oligarchs have the best of both worlds,” said the senior EU official, adding that businesses from Polish factories to French wheat farmers had begun to grumble about unfair trade. “Whether we will end up with full implementation of the EU agreement as it was signed, I have my doubts,” he said. Caught in the middle of a geostrategic confrontation between Russian President Vladimir Putin and the West, Ukraine has seen its European and US allies stop short of military assistance and focus on economic sanctions against Moscow and aid to Kyiv intended to bolster Ukraine’s post-Soviet civic institutions. Amid some regret at the way the EU’s drive to conclude its Association Agreement with Ukraine ended up provoking conflict with Russia, there is sympathy in Brussels for Poroshenko, the confectionery magnate and long-time minister elected to succeed the ousted, Moscow-backed Viktor Yanukovich six months ago. “You can’t blame him for playing a weak hand as best he can in his own national interests,” one EU diplomat said of the man who was feted as guest of honour at an EU summit in June. At the same time, there is a concern not to write blank cheques to Ukraine at a time of austerity at home. The toughest part of the gas deal was satisfying demands from Moscow that the EU guarantee Ukraine would have cash to pay for new gas. Officials from both Moscow and Kyiv stressed how a continued shutoff to Ukraine would disrupt gas supplies to the EU, much of which passes through Ukraine in transit pipelines. A second senior EU official, who was in the negotiating room, reflected that the two ex-Soviet neighbours had a common interest in the EU putting up money. The official noted that despite their current conflict both sides were well acquainted. “They don’t shake hands with each other when we start, but those guys know each other better than I do,” the official said. Ambassador Yelisieiev rejected any suggestion that Ukrainian officials might collude with Russia: “How could we coordinate our position with an aggressor country?” he asked, saying it was the EU which first offered to act as guarantor of the gas deal. Vaclav Baruska, the Czech Republic’s energy security envoy, said Ukrainian corruption in the past meant Prague was still preparing for the worst on gas supply. “We simply expect either no transit or unpredictable transit this winter,” he said. A spokeswoman for the EU’s new foreign policy chief Federica Mogherini said, “We call on Ukraine to continue the process of envisaged reforms and economic modernisation.” That would include “adequate preparation” for implementing the two-way free trade part of the Association Agreement by the start of 2016. Like his ill-fated predecessor, however, Poroshenko and the Ukrainian business owners who control much of the economy, still face a risk that completing the EU trade deal will mean Russia shuts them out of what has so far been their main market. Beyond that, Kyiv, like the West, needs to de-escalate the conflict. That is why some EU diplomats and officials believe the new leadership may seek a way out of the full EU accord, while still fearing a backlash on the streets, where dozens died – under EU flags – to bring down the last president who turned it down. Many in Brussels are still disposed to be understanding. The situation of Ukrainian oligarchs uniquely enjoying “free trade from Lisbon to Vladivostok” could not go on indefinitely, he said. But how the EU and Kyiv might negotiate new terms, and handle Russia, was still impossible to predict with certainty. Ukrainians pay as much for their gas as the Greeks used to pay for tax. And there you go, the EU steps in and goes guarantor. They sure gave this a lot of thought. The EU needs to withdraw support from Ukraine’ s conflict and agree to a partial if not complete independence for the Donbass before the whole of the west gets drawn into a new cold war with Russia. The solution for Ukraine is not winning this”war” but to reform it’s pathetically corrupt and inefficient economy and political system. Losing the eastern province means nothing to the EU, but the way it is going now Ukraine will lose the region, thousands will die, it’s economy will go to the dogs and the EU will be drawn into a decades long political conflict with Russia, and all this to satisfy the egos of a few Ukrainian politicians. Albeit paid by EU / US governments. It’s Russia who are demanding pre-payment, as Ukraine has defaulted in the past. This is the price EU must pay, on top of destroying their own economy, in the process. This expansionist plan of the USA and EU wont work, it’s already being seen through and Ukraine soldiers are speaking to anti-Kiev soldiers, with them both agreeing on multiple policies. Although one stands out, they BOTH want the Nazis driving Kiev ousted! A very good scenario of what is going on, is told here; http://stateofthenation2012.com/?p=8159 – I don’t think the Eastern Ukrainians will take kindly to giving way for a new Israel?